For those wishing slightly less time in the Delta, and the option to stay in a tented camp in Chobe, I will also be leading this four person trip to Botswana in 2019. The basics are the same as our “In-Depth Botswana” itinerary (elsewhere on the site), but differs by having 3 nights in a tented camp, 3 on our houseboat and 3 in the Khwai Reserve as opposed to six nights in the latter. This is geared for those wanting to experience a wide range of environments and sample three of Botswana’s highlights. This is a fantastic safari, combining water and land-based Botswana safari which will give just four people the privilege of camping deep within the Chobe National park, as well as residing and photographing this wildlife haven from the water as well. 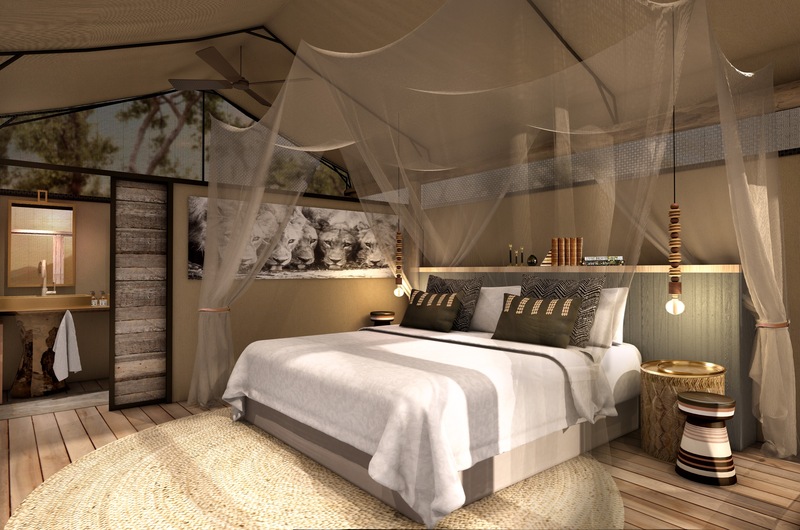 Added to that, we will spend three nights at the new Kwhai Private Reserve – a 200,000 hectare private concession where we will have uncrowded viewing of spectacular wildlife in some of the country’s most pristine Delta-type environments. The KPR is unique and has strictly limited guest numbers, meaning that we will never be crowded at sightings or have the feeling of “queuing” for wildlife as is increasingly happening in the popular, and easy-to-access, ‘Khwai Community Reserve’ located to the East. The KPR is exclusive (o nly 3 lodges in total compared to the neighbouring Community Area) with 200,000 hectares (around three times the size of Sabi Sands in South Africa), and is split into three distinct areas. 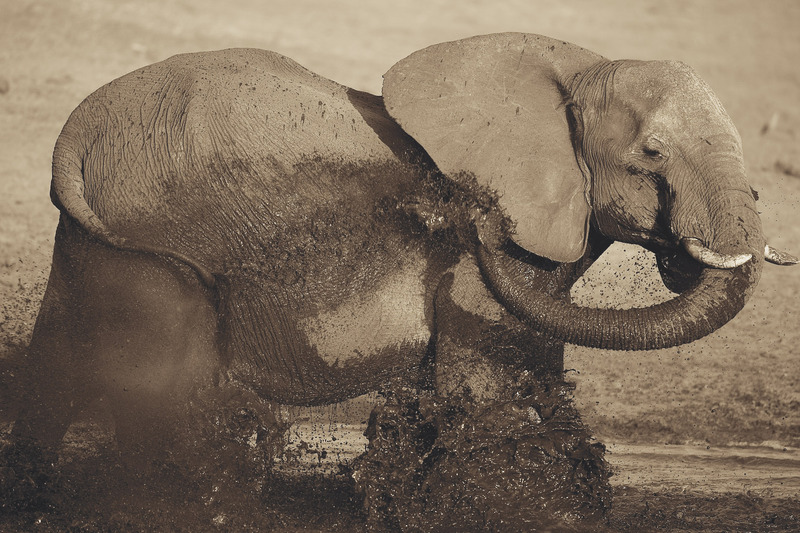 To the north are many waterholes, in the centre there is a mopane belt, and to the south – where our camp is located – lie just a total of 3 lodges of which our 12 bed accommodation is one. This area is stacked with wildlife, with plenty of lion and leopard and a couple of resident wild dog packs. As it is private, we are permitted to off-road and if we wish, we can stay out all day on the search for locations and opportunities. This is truly a once-in-a-lifetime wildlife experience. The vehicles we use are fully equipped with camera mounts and rests, and adapted for photographers. The KPR is covered by a network of small channels and rivers, allowing us to undertake the iconic Okavango Mokoro trip (low level photography and viewing from a dugout canoe). This will be offered as a no-cost option to anyone in the group that would like to experience this, but be aware that water levels and hippo concentrations can sometimes lead to a postponement of this activity. To get the adrenaline pumping even more, and provide you with truly professional photographic opportunities, I have arranged for a “doors-off” helicopter to be made available to us from the camp. This needs to be booked in advance, and is an additional cost, but provides you the incredible chance to shoot aerial images of the reserve and Delta, unfettered by windows and reflections. Please note, this is not a “wildlife chasing” exercise, and we fly over remote areas with no other lodges. The idea is that you can take your wider angles from the air, with the wildlife below blissfully unaware of your activity. Please enquire for costs when reserving your space. Note: guests are responsible for all travel to/from the start end points, but all travel is included from airports to hotels and accommodation and back to the end point. If you wish an alternative end-point, this can be arranged at additional cost, or if you would like to extend your trip, this can also be assisted with. Booking: to secure your place on this trip, a 25% deposit is required by 5 April 2018, with the remainder payable 90 days before the trip is scheduled to take place. However, please confirm your intention to take part as soon as possible as I have very limited openings on this trip and a long waiting list. YOU can opt for something a little more exclusive! I hope you can join me on this exciting, unique Botswana odyssey and see some of the most exciting wilderness Africa can offer!